There was a brief time when I was young when my uncle let my family borrow his Atari. He didn't have a lot of games for it, but I definitely remember spending time playing Tank with my brother and sister. Spanish developer Mighty Toast must have dedicated some of their time playing that game as well as their first title, Tankr, seems to be inspired by it. 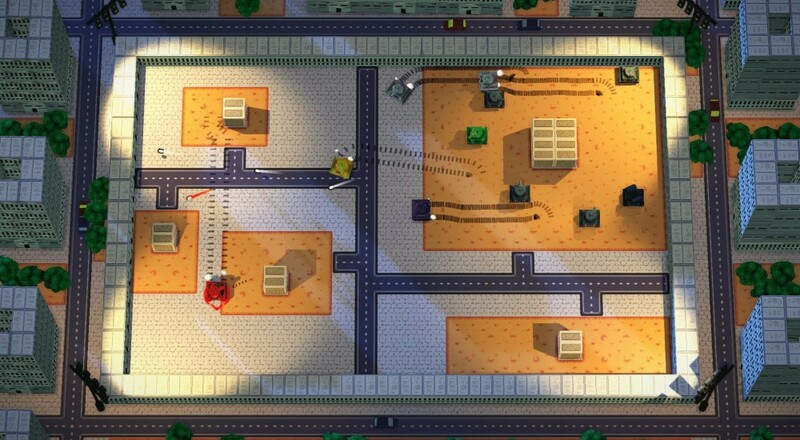 The big appeal to a game like this is attempting to best your friends in tank v tank combat, which can be done in preset levels and levels of your design with the map editor. However, four player local co-op is also support through the title's "campaign." I put that in quotes as the 100 levels of the campaign are more akin to challenges than any kind of story-based affair. Tankr will launch on Steam on June 6 and supports four player co-op, using a mix of gamepads and the keyboard/mouse, for the game's Campaign Mode. Page created in 0.9959 seconds.